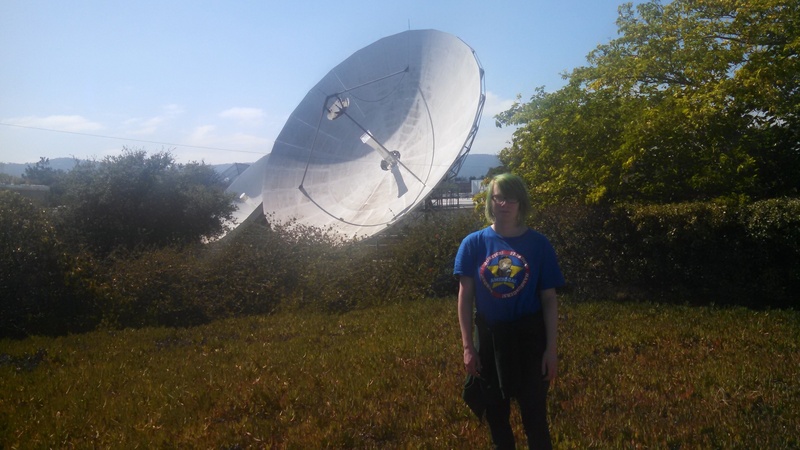 I just thought I would put up a picture of M with their green mermaid hair in front of one of the satellite dishes at work. I just like the picture. M of the green hair.